Structure about 130 metres from the beach of San Lorenzo area Agua Beach, about 2.5 Km from Marzamemi. Ideal for families or groups of friends. 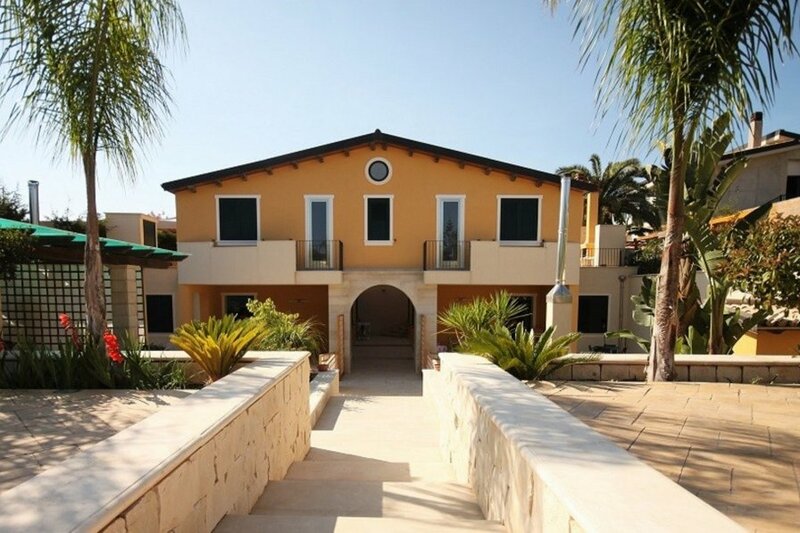 Beautiful Villa made up of five apartments, all autonomous and independent, finely furnished and cared for in detail, equipped with all the necessary services to spend a great holiday. The apartments are all air-conditioned, equipped with mosquito nets, safe, washing machine, barbecue, outdoor shower, parking, Wi-Fi free and everything you need, equipped with self-catering. The apartment in question consists of three large bedrooms, two doubles and one with two beds, a living room entrance, two independent bathrooms with shower and a large kitchen. The roof is made of wood, the finishes are very elegant and refined. In the living room kitchen insists a convertible sofa, to the need, in a comfortable bed to a square and a half. It has autonomous washing machine from kg. 7. On request and for a fee it is possible to have a person in the kitchen and a person as a babysitter. The area is the Val di Noto, rich in Unescu sites of remarkable landscape and naturalistic value. At only 2.5 Km you can visit the beautiful seaside village of Marzamemi, the natural reserve of Vendicari, Portopalo of Capo Passero, extreme tip of south-eastern Sicily. The crystalline sea and the golden sands make this place of extreme Sicily a relaxing oasis. A few kilometers you can visit one of the most beautiful beaches of Sicily "The beach of Calamosche" belong to the nature reserve of Vendicari.